China is definitely a superpower in the modern world in many measures, chief among which is the growth and potential of the automotive sector. The Chinese currently have two main focuses in cars: electric powertrain or a longer wheelbase with a boot if possible. 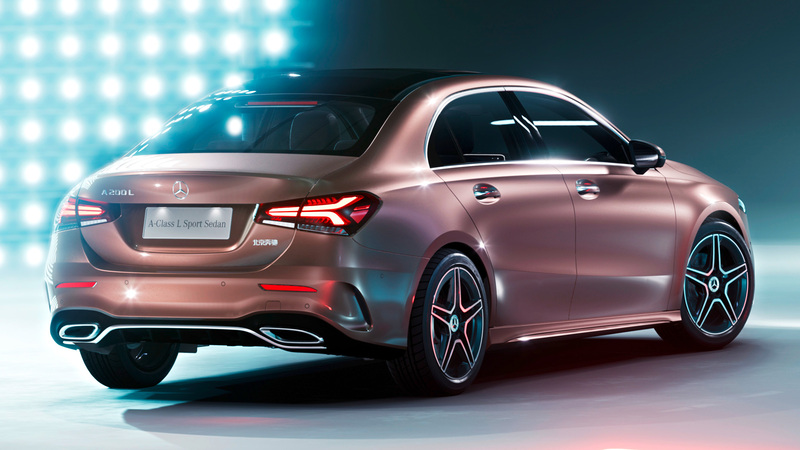 Mercedes-Benz already stole the show at Auto China in Beijing with the Vision Mercedes-Maybach Ultimate Luxury SUV Concept but had something more production ready as well. 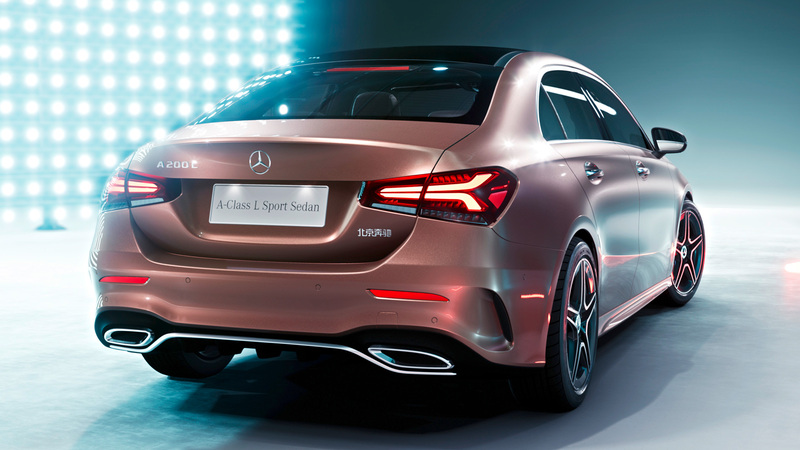 Hence the global premiere of the new A-Class L Sedan which is based on the new generation A-Class hatchback. 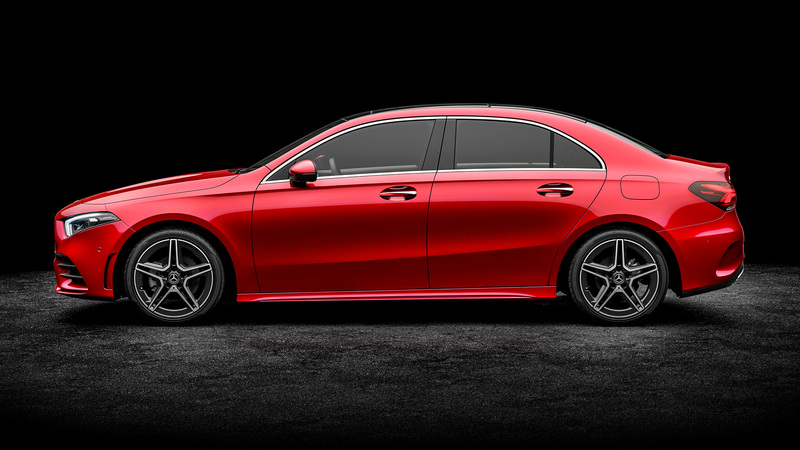 This particular sedan is being produced exclusively for the Chinese market by Beijing Benz Automotive Co., Ltd (BBAC) which is a joint venture between Daimler and BAIC Motor. 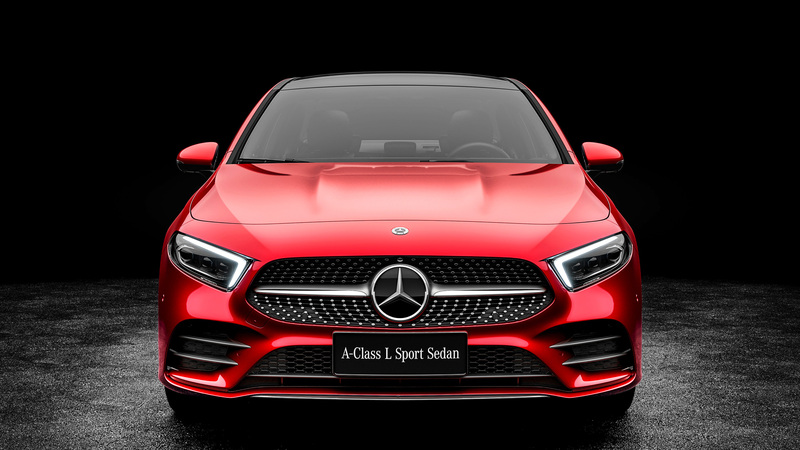 The new A-Class L Sedan has been tailored to the demands of the market and follows the success of compact models for Mercedes-Benz around the world in recent years. 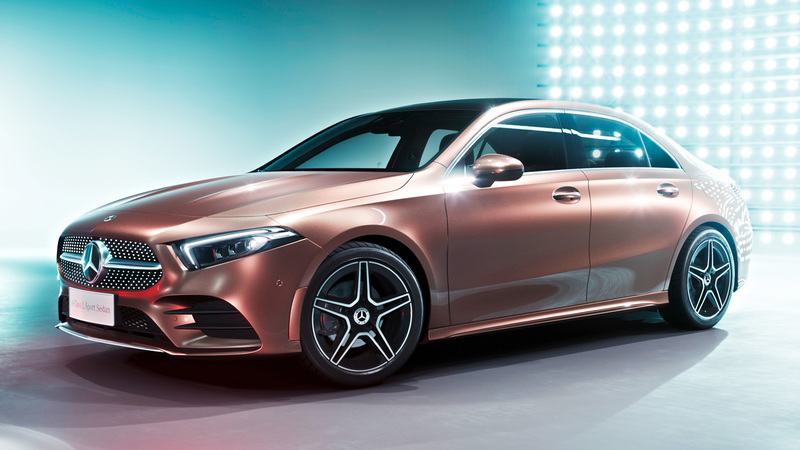 It has been tastefully designed with the new Merc design philosophy of Sensual Purity with its short overhangs, long bonnet and diamond radiator grille with a single louvre. In some aspects its a Mini-Me for the Vision concept and certainly more attainable and practical for the general Mercedes buyer. 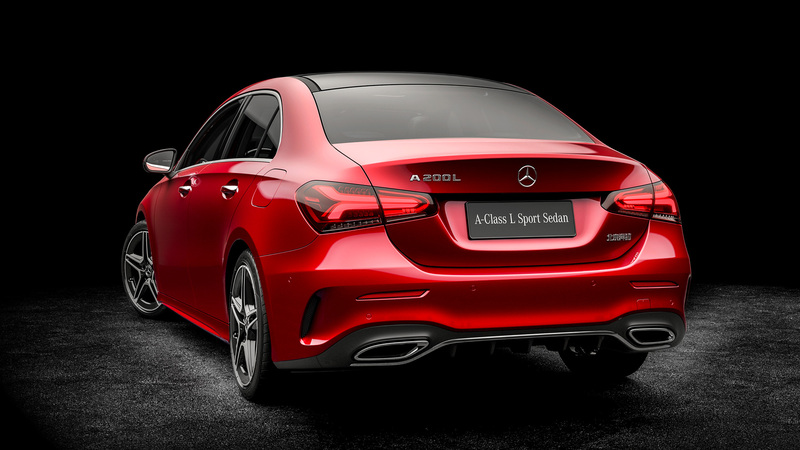 The focus while developing this compact sedan model was knee room for rear passengers and as a result, the wheelbase of the A-Class Saloon is 60mm longer than the A-Class hatchback. At the time of launch later this year, it will be available with an all-aluminium four-shot engine that has a meagre displacement of 1.33 litres and in tunes of 134bhp and 161bhp. These variants will be followed by those that feature a 2-litre four-cylinder engine with CONICSHAPE trumpet honing and CAMTRONIC variable valve timing with an output of 188bhp. The standard transmission on offer will be a 7-speed dual clutch setup. 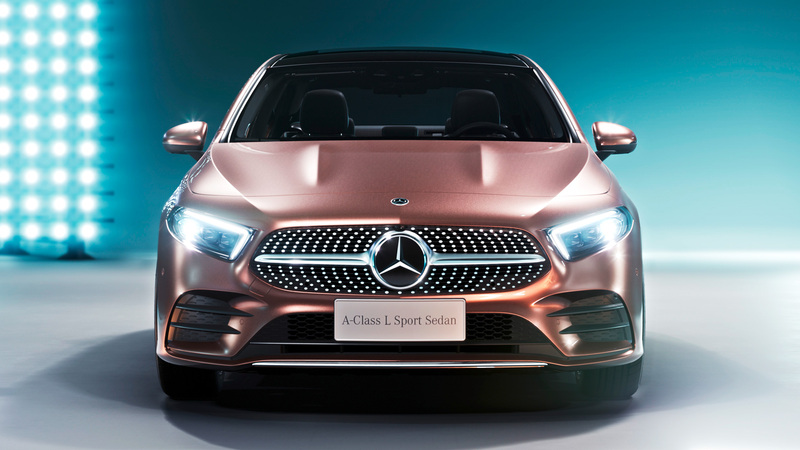 There won’t be much lacking in the technology department though as Mercedes reps say that the A-Class L Sedan will be equipped with the latest driving assistance systems with functions adopted from the S-Class to give this compact money-maker the ‘highest level of active safety in this segment’. China is not the only Asian market that loves a compact design model and yes we’re looking at India, which is another growing economy with an automotive sector that is undergoing reforms. 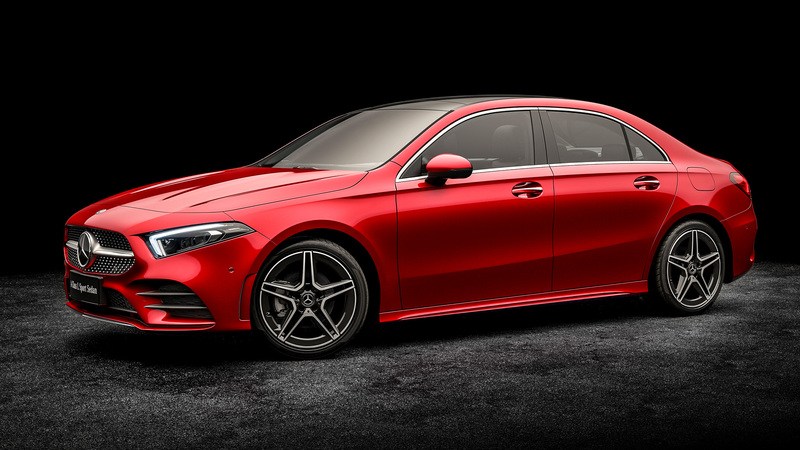 While the CLA models have done Mercedes-Benz will in this subcontinent, the A-Class L Sedan would find plenty of takers too, offering good rear space with an overall size that is more manageable on these cluttered roads. It’s unlikely to be the exact same as the one being made exclusively by BBAC but a suitable version is possible. 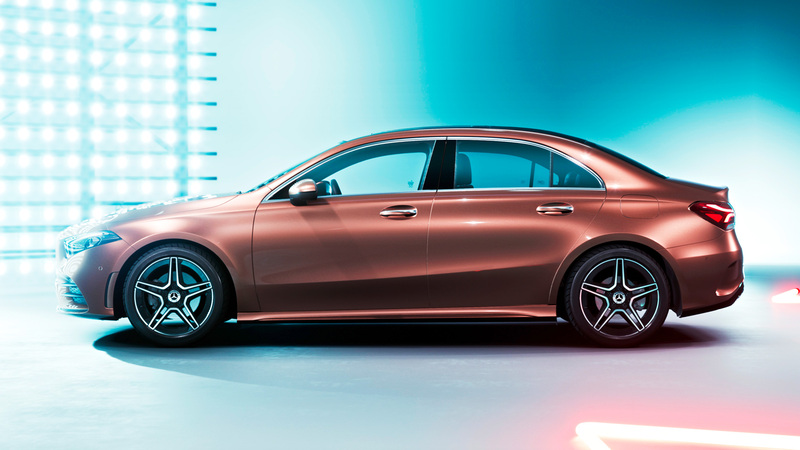 What do you think of the new Mercedes-Benz A-Class L Sedan? 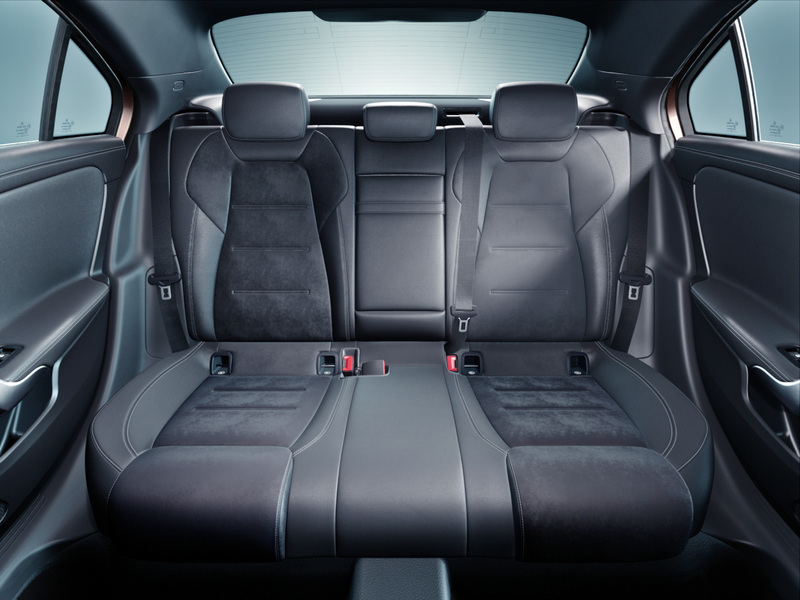 Do you agree it is a good measure for future compact sedans in terms of design and comfort? Share your thoughts in the comments below the gallery.